""Hi, I’m Earth! 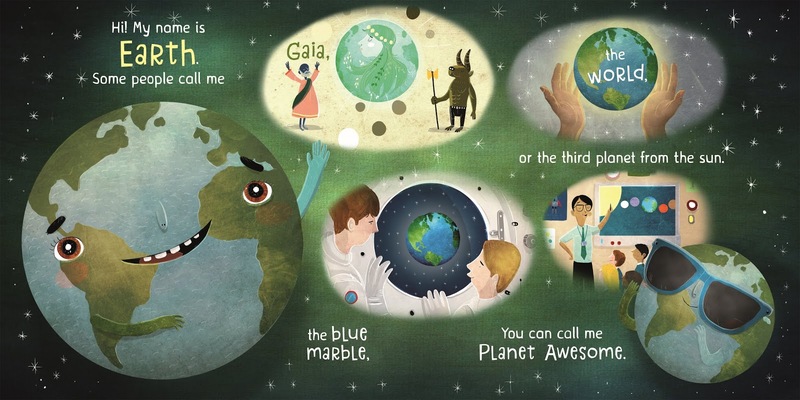 But you can call me Planet Awesome." This title has Common Core connections." 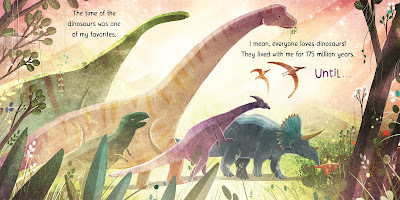 I am always looking for fun picture books I can share with my girls that are not only fun to read, but also can be used as part of our homeschooling. So, when I started looking at books to together for our upcoming Earth Day studies, this book from Macmillan Children's Publishing Group stood out. 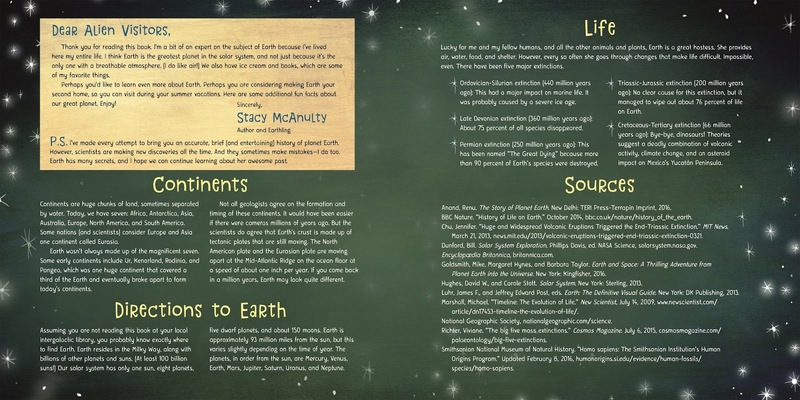 This book is written from Earth's perspective, while also including interesting facts about the Continents, five major life extinctions, location of the Earth and more at the back of this children's book. I started of by sharing these facts with my girls first, before we read the book. 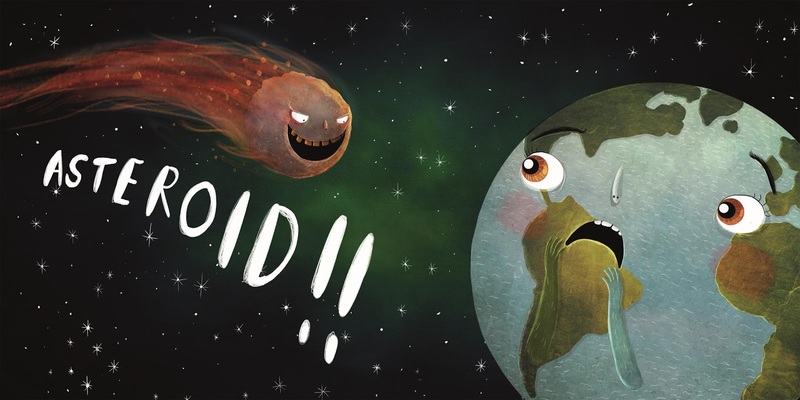 They both found the facts to be interesting and wanted to learn more about Earth. 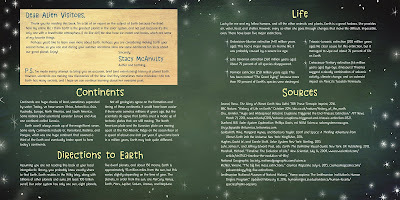 Back in February we did a whole study about the Solar System and learned about Earth. So, the girls had a nice base to start with as we settled in to read this book. Geared towards children ages 4-8, it is written for young readers to understand. The text is very informative, but also playful in that the Earth is the narrator, sharing about Earth from their own point of view. 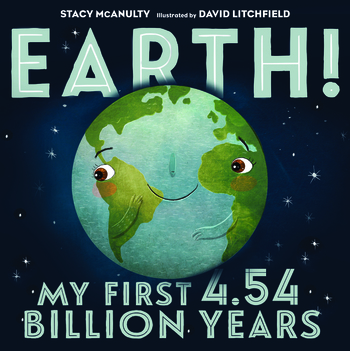 My girls really enjoyed this book, and learned more about Earth that we hadn't covered before. And, the fun facts in the back of this book really were interesting, and got them excited to learn more about Earth during our upcoming Earth Day studies.